Congestive heart failure remains the leading cause of death in developed countries. 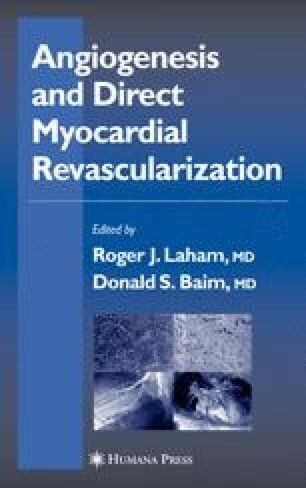 Myocardial infarction (MI) results in the loss of heart muscle cells, which is the main contributor to the development of heart failure. Classical medical therapy and mechanical left-ventricular assist devices are available for physicians to improve the prognosis of patients with MI and heart failure, but only half of the patients with end-stage heart failure survive the following year (1). At the present time, allogeneic heart transplantation to extend life span and to improve the quality of daily life is probably the preferred alternative treatment for patients with end-stage heart failure, but extreme organ shortage and chronic cardiac rejection limit the therapy. In recent years, research on stem cells is leading scientists to investigate the possibility of cell-based therapies for cardiac repair, often referred to as regenerative or reparative medicine. Stem cell-based cellular cardiomyoplasty (CCM) for cardiomyocyte replacement/regeneration has been evaluated in animal settings (2, 3, 4, 5, 6) and clinical trials (7, 8, 9). Transplantation of exogenous stem cells could regenerate damaged myocardium and improve cardiac function in failing hearts. Such efforts may offer exciting novel options for treating patients with end-stage heart failure.